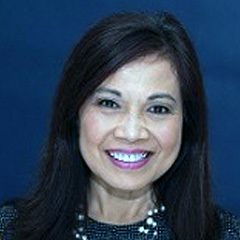 Cecile Pasion-Bregman is a psychiatrist treating patients in Stockbridge, Georgia at Georgia Behavioral Health Professionals. Patients visiting Dr. Pasion-Bregman, can receive a full range of psychiatric services. She provides general consultations, as well as treatment for specific conditions and issues such as depression, bipolar disorder, anxiety and mood disorders, PTSD, behavioral issues, anger, etc. Dr. Pasion-Bregman has more than 30 years of experience and is affiliated with the Southern Regional Medical Center. In order to pursue her medical degree, Dr. Pasion-Bregman attended the University of the Philippines College of Medicine. She continued her medical education at the Colombia University Medical Center, the Creedmoor Psychiatric Center and New York-Presbyterian Hospital, receiving her residency training in general psychiatry. Dr. Pasion-Bregman has also completed a fellowship program in adolescent and child psychiatry at the New York University Elaine A. and Kenneth G. Langone Medical Center. She is board certified in both child and adolescent psychiatry and in general psychiatry.